When working at their highest level, science fiction movies provoke and engage in ideas fundamental to human existence. Because these artistic works are often dealing with alien and extraterrestrial experiences, they often probe the depths of human psychology, social psychology, and emotional trauma, testing the limits of the human experience. 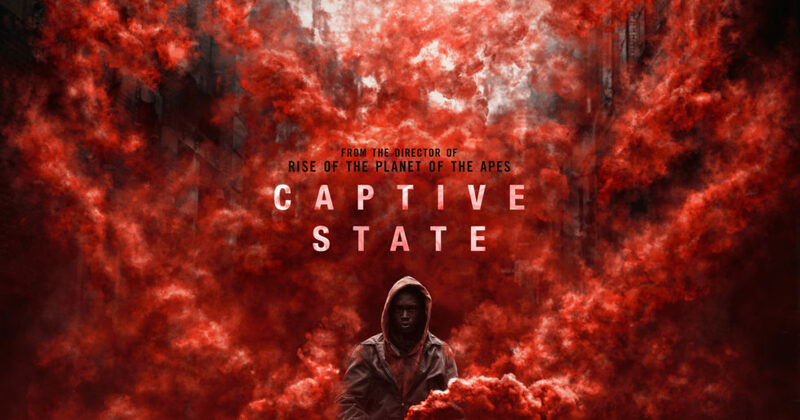 The recently released movie Captive State falls into this genre of science fiction, and those interested in themes focused on freedom and personal identity should find it a satisfying addition to pro-liberty filmmaking. The movie opens nine years after first contact from an alien race in Chicago. Facing annihilation, humans have capitulated to the aliens. Weapons and other means of rebellion have been confiscated. National defense forces have been demilitarized. Humans are watched and scanned in order to ensure compliance that “preserves order” and “protects” their safety. The aliens have set up puppet governments run by humans to keep this order and purge resistance. With humans serving as their compliant subjects, the aliens have fully colonized Earth, working and living deep below the planet surface to extract minerals for their extraterrestrial purposes. The entry points for these mines have been designated as “safe zones” protected by the puppet governments. The result is an alienated, disenfranchised citizenry that is also reduced to economic deprivation. Naturally, some humans don’t like the program, and a decentralized resistance has emerged. Captive State, however, is not a run of the mill Terminator or Running Man style sci-fi action-adventure or thriller. (In fact, the pace is sufficiently slow some may think it bridges the gap to drama, rather than action.) But the themes are substantive, pulling the audience as close as possible into the dark world of government-imposed oppression and the justifications used to support it. The movie is also remarkably detailed in probing the mechanics of the surveillance state and its use by government to oppress. Surveillance is everywhere, and the police, headed by William Mulligan (played by John Goodman), are charged with tracking down and terminating dissenters and other rule breakers. The imagery and practices evoke mental images of the Soviet-style police state, East Germany’s Ministry for State Security (Stasi), or Nazi Germany’s Gestapo. With a production budget of just $25 million, Captive State doesn’t depend on state-of-the art CGI to generate its special effects. In fact, most of the movie was shot on location in Chicago’s Lower West Side, the Pilsen neighborhood (southwest of downtown). This approach creates a viscerally depressing aesthetic, conveying a stark mood of despair, alienation, and hopelessness rooted in Earthly experience. Fittingly, the performances of all the characters are understated, including the leading resistance fighters who operate underground. While some of the exchanges between characters are intense, the tone is somber more than angry or bombastic. This artistic choice slows the pace of the film and risks audience disengagement. On the other hand, the brooding tone sharpens the focus on life under tyranny, even when it’s given the appearance of democratic legitimacy. Audiences will understand the tension between the desire to simply submit to authority in order to stay alive as well as the deep sense of injustice that propels some, not all, to rebel. Captive State, set in the near future, captures a realism about the potential to live under oppression within a democratic government that few other films have conveyed effectively. Captive State was produced by Participant Media, an entertainment company that uses its investments to inspire and promote social change. In this case, they have squarely targeted government-imposed repression and tyranny as well as the attitudes that support it. If one of their objectives is to challenge the view that citizens should simply accept their fate and the rule of their officials rather than live freely, even when they live in a democracy, Participant Media has accomplished it in Captive State. That’s good for liberty and freedom.